This is the season that makes me want to actually do some spring cleaning…..outdoors! I started raking the lawn and picking up the sticks that littered the lawn. That is a never ending task when you have locust trees. I then decided it was time to start in the chicken coop. It is so satisfying to walk into a clean chicken coop. Once it is done it smells wonderfully fresh. I love the piney fragrance of the bagged wood chips I purchase for the floor and the nesting boxes. The downside is cleaning the coop IS a lot like housework……it only stays clean a very short time. My husband always helps me with this task, which I do in the spring and in the fall. It really doesn’t take too much time and we have it down to a science. Once we get the roost out of the way, by putting it outside, we can get to work with the scoop and wheelbarrow. In the spring the good “stuff” that I pitch out gets scooped onto the wheelbarrow, then dumped on the loader bucket for my husband to spread on his field. When I clean in the fall, the garden is finished for the season and it gets spread on that. It is great stuff for the soil so cleaning the coop is a definite win-win. For some reason, the girls do not appreciate having anything changed in their quarters. They squawk and run around like we are doing something horrendous when we pitch it out. Once the new bedding is put down they are incredibly cautious about coming back in and walking on the nice clean floor. They’re funny to watch as they carefully pick their way through the shavings, stopping every step to tilt their heads and check out the floor. I sometime wonder if we act the same way when “stuff” needs to be cleaned out of our lives? Do we fuss when something is changed, even if it is better for us? Do we fuss because, while it is better for us, it is not familiar or comfortable yet? I know I don’t like change and I am not fond of having someone else just come in and make those changes. I guess I can sympathize with my chickens, somewhat…..
. Change of any sort requires courage. When looking for a good quote to end this with I came across this site that is full of really great quotes for pretty much any occasion. If you are “into” quotes and sayings, like I am, you may want to check this one out. I am thinking, you might like it! Our grandson, who is 4 1/2, (he makes sure to tell us about the 1/2) likes to get up early in the morning. Usually when he is around he ends up crawling between grandpa and grandma in bed. That morning we were having a little conversation about what the day would bring. We mentioned he would get to hang out with Grandpa and the two uncles that would be coming that morning. He immediately picked up on the fact that his sister, mom, aunt and grandma would be doing something different. I tried to explain that the ladies would be going to a bridal shower. We tried not to focus on the word shower as that brought on mental images of literally showering the bride with water and that can be a dangerous idea for a small boy! I explained that Kayla was going to be marrying cousin Ross. The response to that, from a 4 1/2 year old boy, was “Ewwwwww!” That perspective still brings a huge smile to my face. I am thinking I should remind him of that in about 12 years. My perspective on the shower was a little different than my grandson’s view. I found it to be great fun. It was a blessing to connect with each other through fun, games, lunch, gift- giving and prayer. As an aunt I volunteered to make an egg casserole as we were having a brunch. (That one was kind of a no brainer as I have plenty of eggs on hand.) This is my go-to recipe for gatherings with a brunch menu. Mix all ingredients together in 9 x 13 pan and refrigerate overnight. I just want to wish you all a joyous and blessed Easter Sunday. I was introduced to a song at a Christian retreat that I would love to share with you. This song offers such hope and fits perfectly with the promise that is Easter. Hope, life, restoration, resurrection and reunion with our Lord and Savior. May you be as blessed by it as I was and may you find peace. Do you ever wonder about Good Friday? Do you ever wonder if the disciples felt like their entire world was crashing down and dying on the cross with their Lord and friend? I wonder how they found the courage to take that next breath and wake up the next morning. Did they find themselves sighing deeply, hunching their shoulders to ward off the next psychological blow, swallowing back the tears and looking for anything to relieve the incredible pain? Did they spend those next three days asking “What if” or saying “If only”? Did they for an instant see the glimmer of the good that would come from this violent, brutal killing of the one they loved? Or was the darkness just to deep and the hurt so bottomless that there was no comfort and there were no words? As a mom I cannot imagine how Mary survived those days. The memories of Jesus as an infant, the images in her mind of him taking his first steps, saying his first word. Did she remember if she was angry that he had stayed back in the temple, as a child, rather than leaving with his family on that trip home from Jerusalem? Did she ponder all these things and remember the words and promises that her son had told her? After having that horrible image of her son hanging on a cross stamped indelibly in her mind was there a small flicker of hope that he would rise from the dead or was it just to much to even think at all? There is no way I can begin to comprehend the despair that she, as a mom, felt at that point. If you are going through a hard time that seems so dark that no light can penetrate; remember the promise of this day….this Good Friday. Yes, it is a good day. The promise of this day makes the living through the tough times less difficult. Not necessarily easier, just less difficult. This good day has brought grace. It has brought forgiveness. It has brought redemption. It has restored us to our place as God’s dearly loved children. That is a gift that is beyond imagining and I am ever so grateful. This day does not protect us from what life brings but it gives us hope for an amazing future. It is a promise. May you be blessed wherever you are on this Good Friday and remember Sunday’s coming!! The cross at the top of this post was drawn by my youngest son when he was in high school. I love the way how this drawing reminds me how much Jesus loves me and each of us. I love being reminded that I am free, really free because of what happened on that one day…..that Good Friday so long ago. I have a friend, Sara, from Lincoln who has been teaching me to expand my horizons. I have always been fairly game to give something a try …. as long as it is not illegal, immoral or does not scare me to death! When it comes to gardening and plants I am always ready to try something new. This friend has decided she wants to grown elderberry bushes. She is a fountain of information about plants, their uses, medicinal value, and how to grow, use, and process them. Since knowing her, I have even harvested and dried trays of stinging nettle or as our family has named it “fireweed”. I told her I knew where there were some elderberry bushes “growing in the wild”. Our ditches, in this area, seem to have small patches of them growing here and there. I googled (which, you know, I love to do!) about how to start elderberry bushes from cuttings. There were several blogs, maybe way more than several blogs, on how to do this. Please do make sure, if you also try this, that the bushes you take your cuttings from are the edible variety. If you question it you can check with your extension service. I talked my husband into assisting me in this endeavor. I am fortunate that he is really good about helping with stuff like that. He grabbed the “Lopper”, I grabbed the bucket, we climbed in the pickup and set out to a ditch around the section. We arrived at the location where there were several bushes beside a wild plum thicket and we clambered down the ditch bank. On the way down I made note of some really cool old red foundation stones that were laying here and there. Note to self “come back and get them ….soon.” We proceeded to cut off a bunch of pinkie-sized branches (those were the instructions in the posting) that had several leaf nodes on them. We made sure to cut them on the diagonal, just like the blog post also said. Once we had a bunch of them in our pail, we climbed back up out of the ditch. I did go back for that one rock ….the one I could actually carry. At home I trimmed them and they are now soaking in pint jars on the windowsill; ready to make roots – in the next 6 weeks or so. I do think I am also going to try make the all natural willow water that is supposed to help speed up the rooting process. Planting things and starting cuttings are an act of faith. I have faith some of these will make it and produce berries. I can already taste the elderberry syrup, elderberry jelly, elderberry …… I will keep you posted on how these actually turn out. The links below will take you to detailed instructions on starting your own elderberry bushes and making willow water. I have never put out two posts in one day but today is the day!! I am excited to share a link with you from a friend of mine who is a true woman of God. 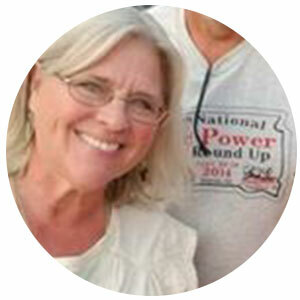 She is an amazing woman, farm wife, mom, friend, and…..drum roll……..author of inspirational books. Follow the link below and check out her new book. Spring is here! Soon it will be time for picnics and family gatherings and recipes for side dishes are good to have on hand. This corn hot dish is a recipe that I got from a friend from church. It is a handy one to make for gatherings of any sort as you can assemble it in advance and keep in the fridge till it is time to cook it. Cut cheese into small 1/2 – 3/4 inch cubes. Bake at 325 for 45 minutes, covered. The recipe originally said to cook for 1/2 hour. I have found that my noodles are still somewhat hard if I only cook them that long. I also did not fully drain the corn as my noodles used up some of the liquid. If you want a creamier texture you may want to drain thoroughly. When done…… sit back and enjoy and be ready to pass this recipe on to those who want to try it.